I don’t know about you, but it isn’t summer to me without eating lots of corn on the cob, preferably grilled! I know there are lots of other ways to prepare it, but there is something about the smokiness and slight char that you can get from grilling that makes the flavor so much better. Living in the Midwest gives us plenty of opportunity to get fresh from the field sweet corn. Farmers set up little stands all over town and most grocery stores get fresh corn trucked in daily. We make sure to take advantage of this abundance every year! 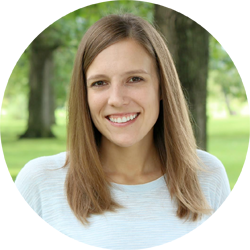 Even though I could easily eat grilled corn on the cob multiple times a week without getting sick of it, I still like to switch up the way we eat it a little. 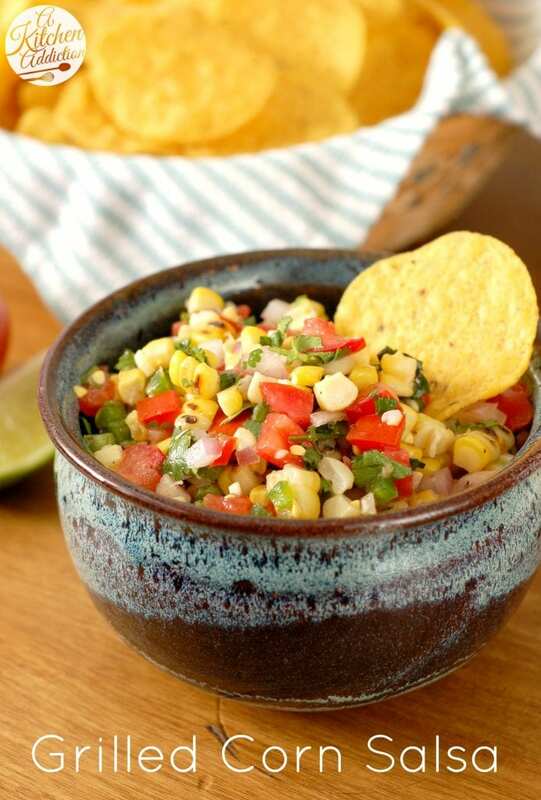 This grilled corn salsa was a great way to enjoy the flavor of grilled corn without eating it plain. 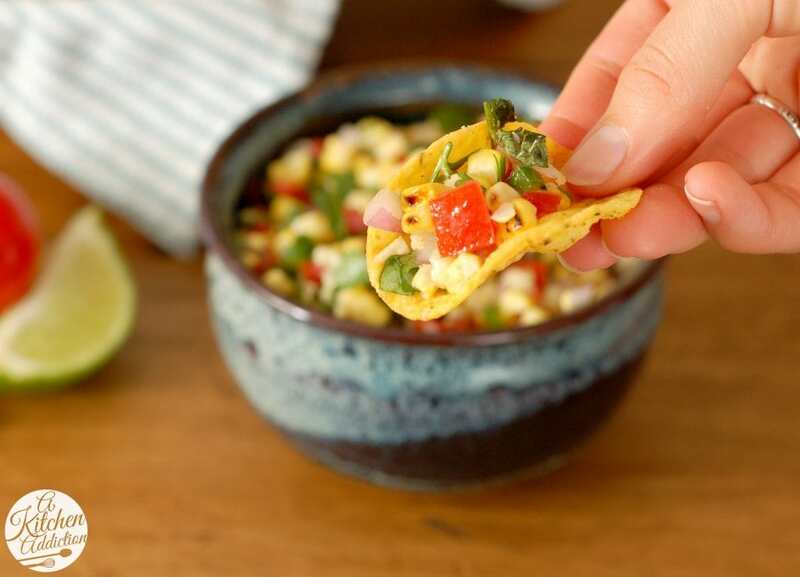 The fresh veggies and cilantro heighten the flavor of the grilled corn and load this salsa with fresh summer flavor! All it takes is a little prep work to chop and mince the ingredients. Give the salsa a little stir and it could be ready to enjoy right away. However, I recommend letting it sit in the refrigerator awhile to let the flavors blend. If you can’t wait to dig in, I understand! Eat it plain with chips or use it to top your favorite tacos or quesadillas. Either way, this summer salsa is a great way to enjoy all of the fresh produce that the end of summer has to offer! Place corn, in husk, on oiled grill grate. Grill for about 7 minutes, rotating and getting a nice char on all sides. Remove husks and silks and place corn back on grill for another 2-3 minutes or until lightly charred. Remove corn from grill and allow to cool slightly. Slice corn off cob into a large bowl. Add in cilantro, garlic, jalapeno, red onion, and tomato. Stir until combined. In a small bowl, whisk together olive oil, lime juice, salt, and pepper. Drizzle over corn mixture and gently stir to combine. Cover and place salsa in the refrigerator to allow flavors to blend for 15-20 minutes. Serve fresh, but salsa will keep in the refrigerator for several days. I love fresh salsa! Such a perfect snack. Love grilled corn salsa! This has been a staple on our dinner table all summer long! I love your recipe! Oh I totally agree about grilled corn on the cob! It’s almost ready in Minnesota so I can’t wait to dig in. This treat would be perfect for a summertime BBQ! I just had someone give us a bag of corn…I now know that I need to grill it and make salsa. This looks amazing and so fresh!!! I’m with you, grilled corn in the summer is the best! Your salsa looks amazing, and I just love that bowl you have it in. Gorgeous! I’ve been finding really, rally great corn lately…..can’t wait to make this over the weekend! I belong to probably the only CSA in the entire Midwest that does not grow corn…grrr…But I love homemade salsa too much to let that stop me, so I’m going to have to go to the store so I can make this amazing looking dish! Oooo lovely idea! This looks fabulous! One of my favorite things about summer is fresh corn. I love this salsa Jessica! I grew up in Iowa. The thing I miss most is the corn. This looks great! 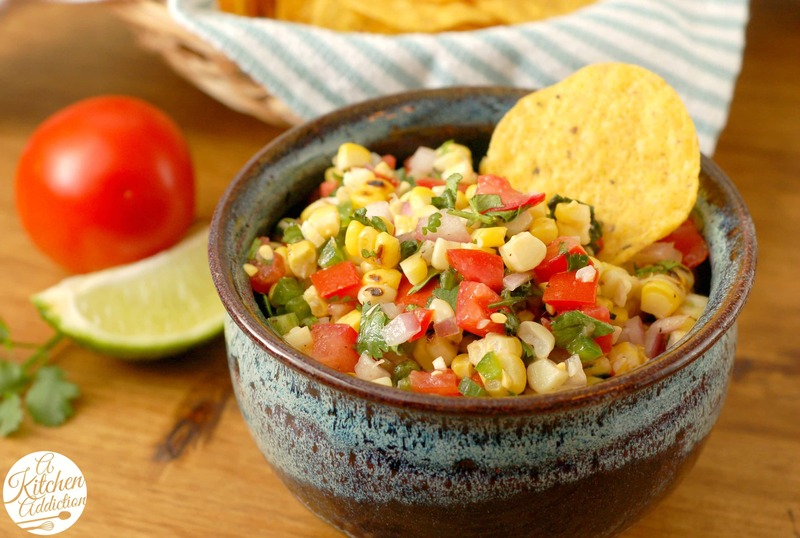 Grilled corn in salsa…I LOVE that!! I’ve had corn in salsa and guacamole before and it was lovely, but grilling it first is a fantastic idea. Can’t wait to try this! I love corn! I need to stop being lazy and slap some on the grill … because this looks delicious! Total yum factor here Jessica – pinned!